Submitted by gored82 on Thu, 12/20/2012 – 9:53pm. And now the rumor that they’re interested in signing Grady Sizemore, presumably to an incentive-driven contract – http://www.rotoworld.com/player/mlb/3795/grady-sizemore. Would they put 24 back into circulation and on Grady’s back? Submitted by FatJack (not verified) on Tue, 01/08/2013 – 5:24pm. History says trading a newly minted Cy Young Award winner (or even one several seasons removed) is a colossal blunder as you NEVER get equal value in return. 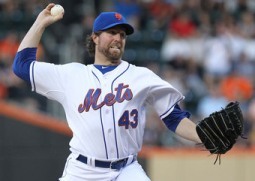 Dickey is a knuckleballer; his age is absolutely irrelevant. D’Arnaud is (purposely) untested at the major league level and, as a young catcher, it should raise red flags that he’s already missed significant time due to back and knee injuries. Syndergaard is a one-pitch pitcher. Single-A hitters report that he tips his other pitches, which are mediocre to begin with. It’s one thing if a scout or coach says he’s tipping his pitches, quite another when that comes from Single-A hitters. Sure, he can still strike out those Single-A hitters with his fastball. But, as a young pitcher with only his fastball to rely on, he’s bound for Tommy John surgery long before he reaches the Show. Can you say John Glass? Buck is ancient and, most likely, a manager in training more than a catcher of the present. I think Mike Nickeas could outhit him at this point. 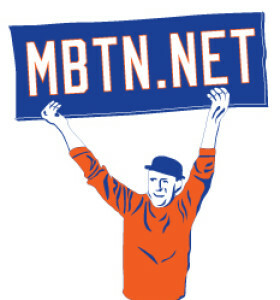 It’s true, the Mets have many needs and aren’t (and weren’t) going anywhere for the next few years. But you build a ballclub by trading Carlos Beltrans for Zack Wheelers, not by trading a Cy Young winner for a damaged catching prospect. Had Dickey brought back 3 or 4 quality young arms, I’d say fine. But the Mets tossed a Cy Young winner on the scrap heap (mind you, a Cy Young winner who was asking less than Ryan Dempster received and less than Edwin Jackson received) for a handful of magic beans.